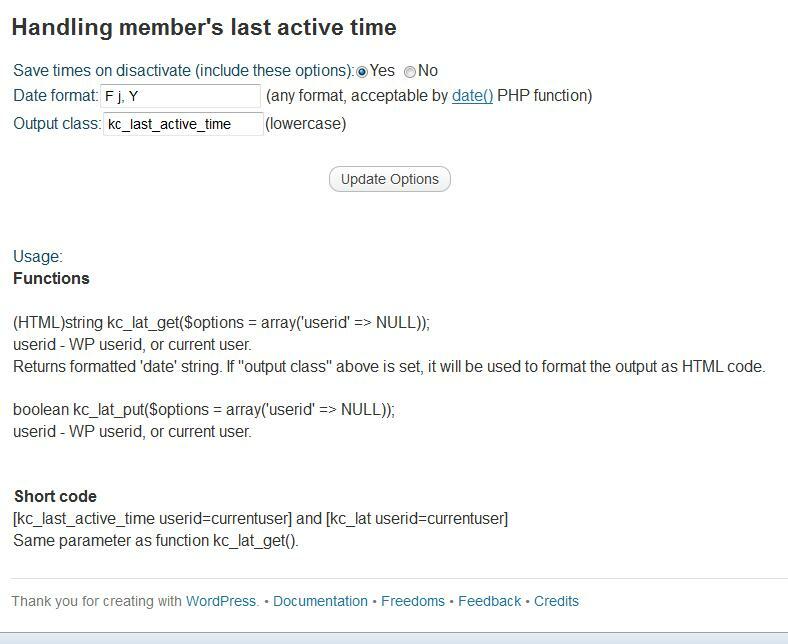 WordPress plugin: A "last active time" monitor for members - shortcode and function shows last active time, can be used anywhere. When use WordPress as CMS sometimes it needs to show when users was online last time. No such feature in the core of WordPress, so this plugin adds it. Nothing special, just a generic installation. You can set it in admin area (adds new row in "Settings"), but default settings works just fine.